The RunnerDuck Silverware Organizer, step by step instructions on how to make a silverware organizer. 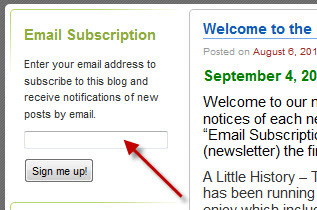 This project appeared in our September 1, 2007 Newsletter. This is a pretty simple project but it sure does make things a lot nicer in the kitchen. 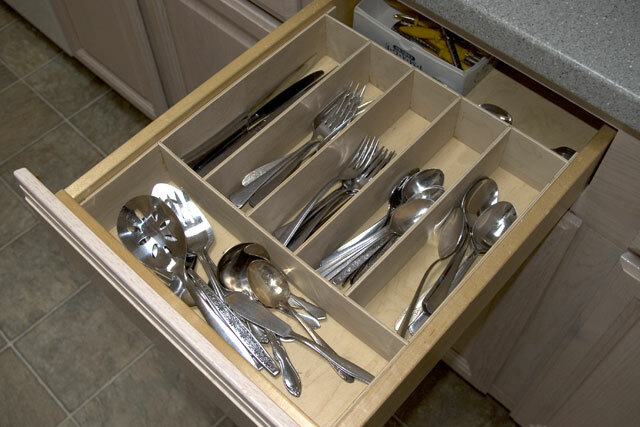 We just moved into a new house and there were no silverware organizers in the kitchen drawers. We tried one of the universal plastic organizers but it was just too flimsy. We tried shopping for a prefabricated plastic or wood tray but couldn't find anything that would fit. So I cranked up the table saw and in a couple of hours had one that was just perfect. I haven't given any dimensions for this project because every drawer is different and everyone has a different way that they want to arrange their silverware. First measure the width of the drawer that the organizer is going into. Be very exact with this dimension so it will fit perfect. 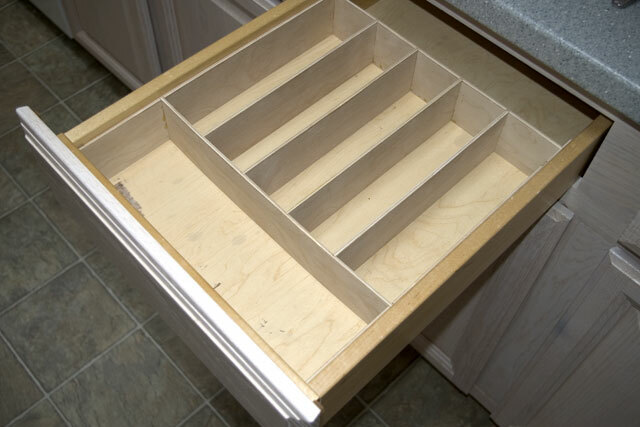 Lay out your silverware the way you want it in the drawer and measure the length and width for each pocket. 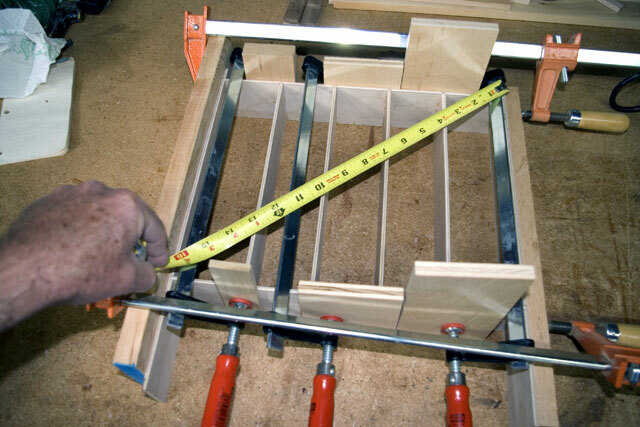 Measure the depth of the drawer and set the height of your organizer. 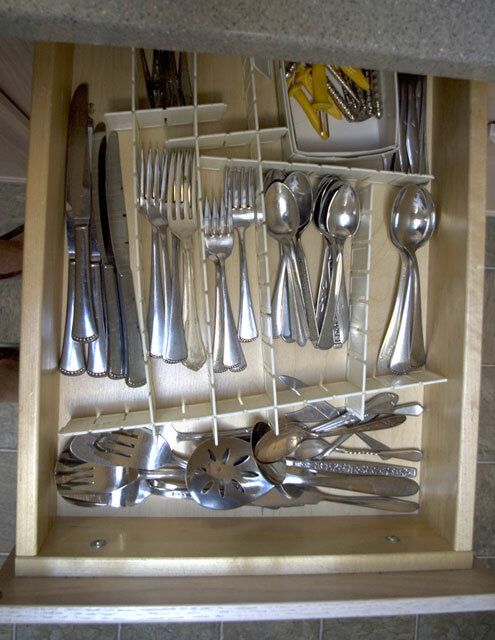 Don't make it too high or it will make it more difficult to get the silverware out of the drawer. Mark and cut all the pieces. Keep in mind that there will be dado's for the dividers to fit into so you'll have to add 3/16" to the length of some of the pieces. 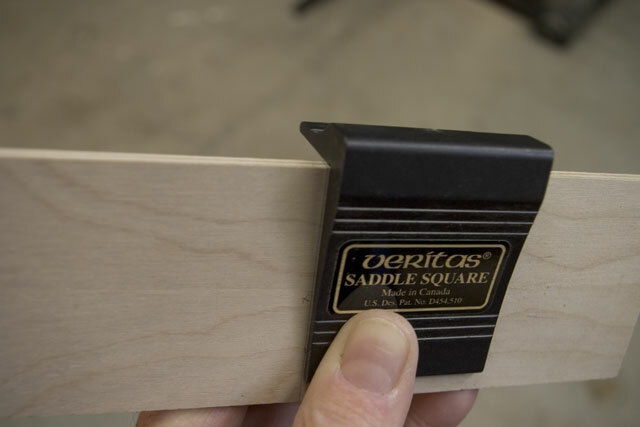 I mark the pieces on the sides and then transfer the lines to the edges using a saddle square. Lay out the dado lines where the dividers will go. 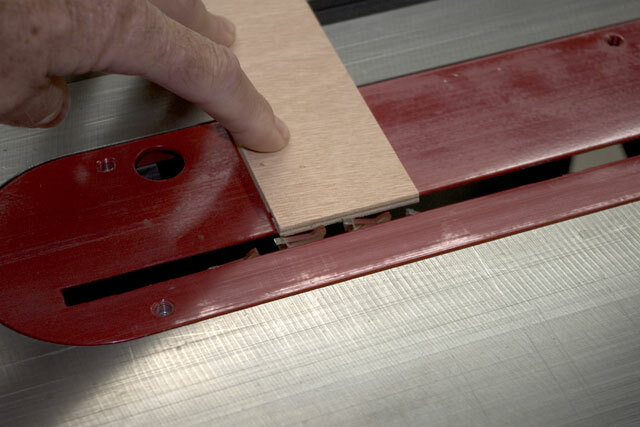 Mark the width of the dado to make it easier to cut. 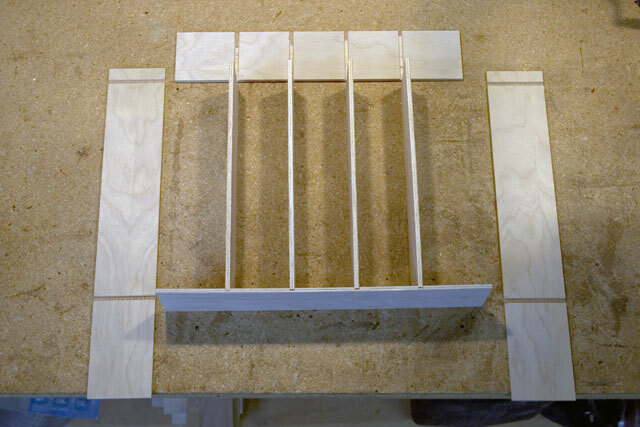 Set the tablesaw height to 3/32 or half the thickness of the plywood. I didn't have a 3/16" wide saw blade so I made a couple of pass for each dado. Cut them carefully so they fit snug. You should now have a pile of pieces that look something like this. 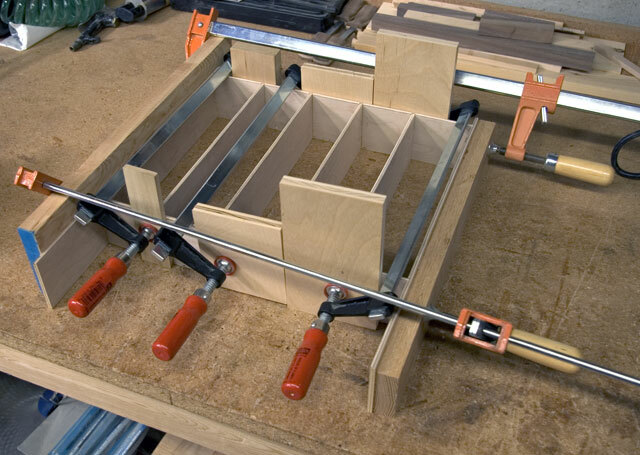 Apply glue to the dado's, assemble and clamp using scrap pieces of wood under each clamp. Make sure that everything is square by measuring from corner to corner and then from the opposite corners. The dimension should be exactly the same. Once the glue dries your organizer should be ready to use. Put a couple of small flat head screws through the sides to keep the dividers from sliding around.